A slightly different format today because I wanted to share the photo the symbolic butterfly that all the kids in our 4-H club did this week. You'll also see some of the artwork and letters that the kids added to the packet. I am so excited that we found out about this project in time so that we could participate. 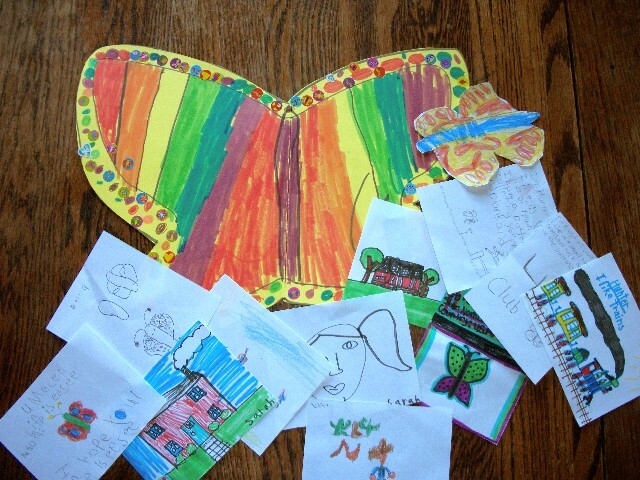 If you'd like to take a look at the symbolic butterflies and their journey to Mexico, visit the Journey North website and take a moment to read through some of the messages that the classes have left on the site. 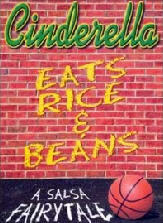 Auditions will be TODAY (Oct. 16) from 1-3 p.m. at the Children's Museum of Northern Nevada for the bilingual play, Cinderella Eats Rice & Beans: A Salsa Fairytale. They are looking for two multi-cultural casts of young actors, ages 12-18. Eight to ten actors of all ethnicities will be cast and Cinderella (Cenicienta) must be bilingual Spanish/English speaking.